TENSE SKIN? KIM JONG-UN MASKS! 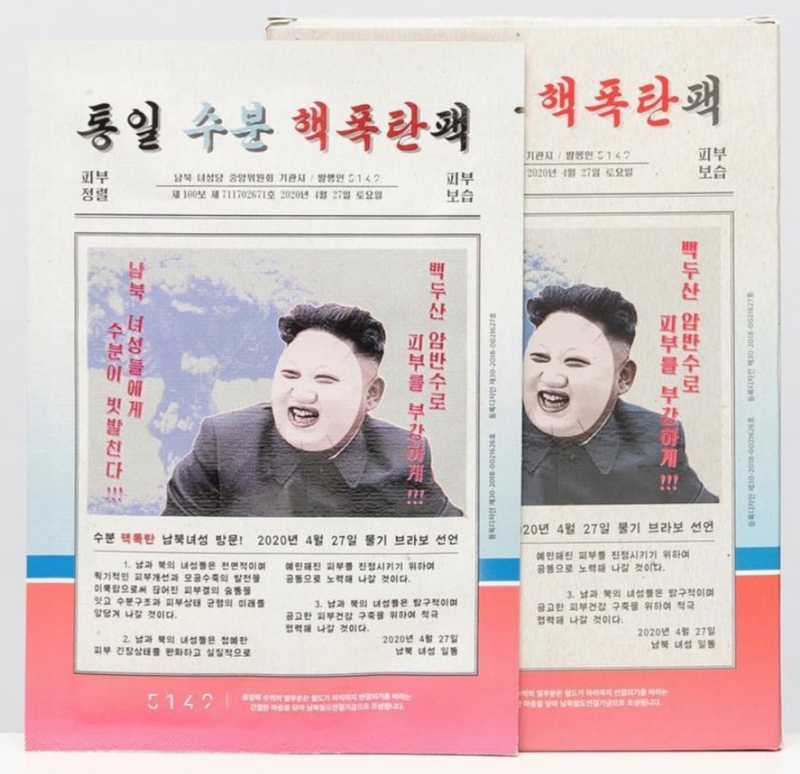 UPDATE, 13 December 2018: Leading Korean chain store Pierrot Shopping has decided to stop selling the Kim Jong-un face masks after criticism that the masks are effectively propaganda for the North Korean regime. When thinking of photos of North Korean dictator Kim Jong-un, you can think many things, but I don’t think I’ve ever seen him look tense on a photo. He sometimes tries to look statesman like, but usually has that big grin on his face. As if he has not a care in the world. So it makes perfect sense (does it really?) that Kim Jong-un branded beauty masks are a big hit in South Korea. The manufacturer promises the masks will relieve tension in your skin and that they contain water from Mount Paektu, the highest mountain on the Korean peninsula. Paektu has a mythical status for Koreans and is being sold in North Korea as the birthplace of Kim Jong-il, son of the country’s first leader and father of it’s third. Anyway: Moist Kim Jong-un branded relaxing face masks. Sold at USD 3.5 each. A couple of years ago I was having a beer in a sports bar in the Insa-dong neighborhood of Seoul and was pressed to try beauty products by the coasters the beers came on. 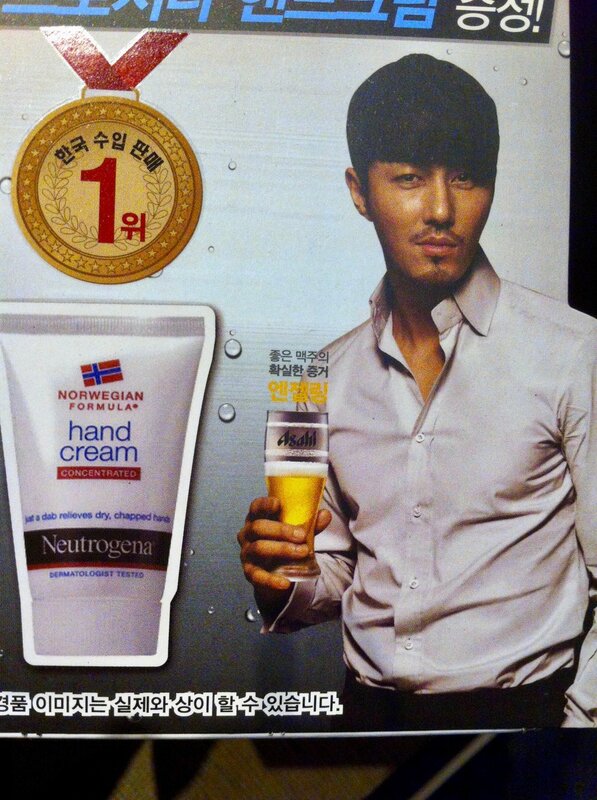 The Asahi was tied in with Norwegian Formula Hand Cream (concentrated). The pint of Carlsberg came with a recommendation for Carlsberg branded Ecopure hand cream. I’ll take that over ruthless dictator labeled face masks.